Image Results is a full service marketing & advertising company helping companies realize their return on investment. We blend creativity and technical expertise with sound business strategy in order to deliver a full spectrum of turnkey solutions to meet your requirements. We harness the power of our individual talents and build on recognized Internet Standards to help clients to communicate and market themselves much more effectively. Image Results is a company that leads and drives business growth and profitability through tried and true principles and processes, research, and customized strategies cultivated to meet your specific business needs. 1. We Make Order Out of Chaos by coming together to share information, discuss misinformation, eliminate confusion, explore ideas, plan, utilize collective wisdom to determine alternate approaches, apply creativity to a problem or opportunity, gain a new perspective, and work in synergy. 2. We Identify, Then Solve Problems by providing a process to understand your common objectives and help to plan and achieve them. We make your key messages connect deeply, creatively, consistently and memorably with targets in every possible medium. 3. We Uniquely Brand Your Business through every design which is created with a strong passion to convey the intimate expression of a brand, this approach results in instant brand recall. Image Results creates sales, marketing and advertising tools that maximize results. 4. We Use Effective Communication Skills that focus on creating efficient, effective and flexible systems to meet the customers needs and stay in alignment with the goals and objectives. It is the road map that will direct toward building, maintaining and improving your overall brand. 5. We Motivate Your Customers Into Action by implementing your plan more effectively, consistently and cost-efficiently. 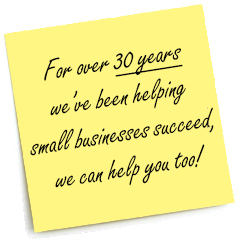 We'll even help facilitate your internal systems to track results. 6. We Plan & Evaluate to Save You Time - At Image Results we excel in our ability to professionally design, direct, and write text for any media that will effectively draw your prospect's attention to your products, services, and sales messages. 7. We Get Results for Less Cost! - You spend hundreds of hours you do not have researching each area to still be confused about all of the directions and choices. Branding is a visual communication that combines images, words and effective design to convey ideas and information to an specific audience. We arrange the puzzle of all the elements to work together including digital, web, print, promotional and all other media.